When you make a layout you have to think about several things. 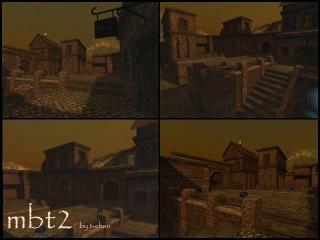 in this tutorial i show you how to make a playable map like you have seen in Sauerbraten. e.g. Reissen, or Tempest. This tutorial is only about making the layout, not planning out the design and the theme. but while making the layout or even before you need to know what theme you are using. so basically first think about what you would like to design your map for. if you start a layout without any concept of what youre going to do it will possibly fail. 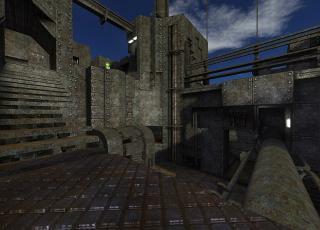 but because of the high speed you can work at in sauerbraten, the idea only is enough for a first map. 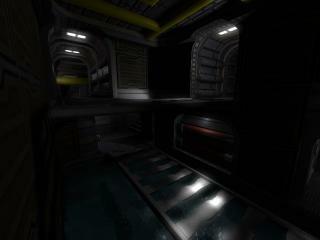 how level designer know where they place what platform and stair or ramp? how they know where they place what ammo, health, flags, bases, playerstarts? as a level designer you should place NOTHING randomly not even trees or rocks. but more about that in chapter 3. design. Mainly we differ 2 gameplay types. The Core Gameplay is the set of rules and tools you have been given by the engine. It determines if you can jump, and how high, how fast you run, and how you can interact with the world. As Level designer you cant change the rules of the core gameplay, they already exist. A Level designers job is to make the map so it fits to the gameplay. eg. how much space you have to put between a platform so the player can jump to it. 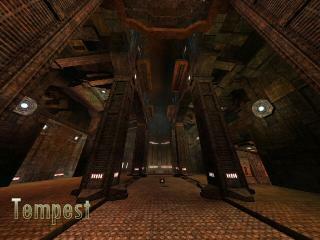 The Map Gameplay defines where a player spawns, and gives the player environmental options to utilize the Core Gameplay. It also provides the ways and routes to get the enemy flag or base. 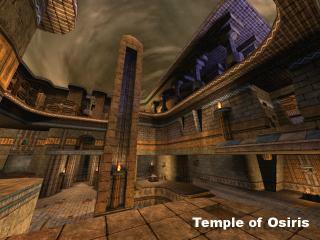 and the Map Gameplay gives the player the instruments they have to use them for their advantage or disadvantage. 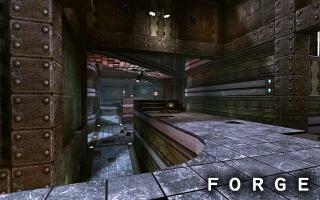 Map Gameplay exists to augment and provide variety in the Core Gameplay. Always think about the "selling" point of the map. not that you sell literally the map but there are thousands of maps on Quadropolis. and you have to give the player variety in gameplay and design. so people download your map and play it, and like it! with gramatical support from broghan. Working on the Grid is important to avoid lags and it makes copy and paste much easier. that tells you what size (from 0 to 12) you are using at the moment. 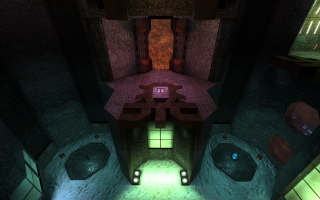 Blurb A small, fast CTF map. 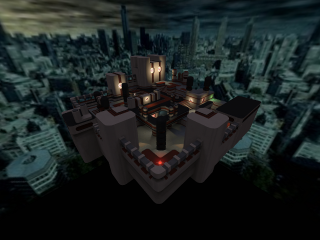 Blurb A ctf map. Updated: Slight layout modification, improoved look.